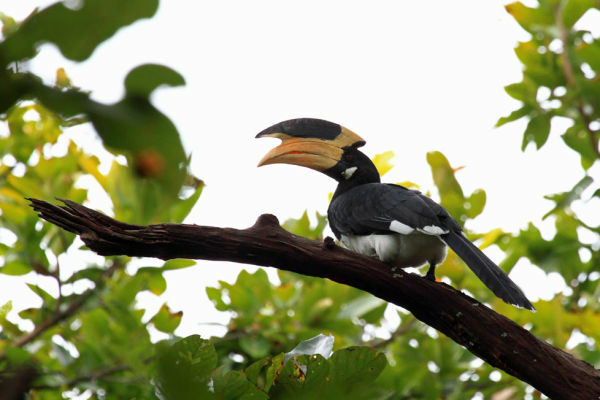 Apparently, the malabar pied hornbill is a rare migrant which even the guides were excited about spotting. Understandable, as it is an unusual bird to say the least... Difficult shot as it was perched high above us at the top of one of the tallest trees we came across.